Click here to find out what's on at the Alhambra Theatre. Take a look at visitbradford.com for ideas on where to stay. How do I hold an event at the Alhambra Theatre? How do I hire the Alhambra Theatre? I’m a visiting company. Who do I contact about marketing and press support? Click here to read about Restaurant 1914. 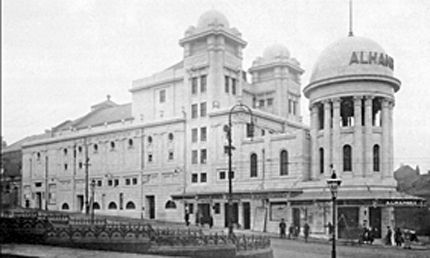 What’s the history of the Alhambra Theatre? Are there any interesting news stories about the Alhambra Theatre?